Demi Lovato Shows How To Use Her ‘Devonne By Demi’ Products On Wilmer Valderrama! 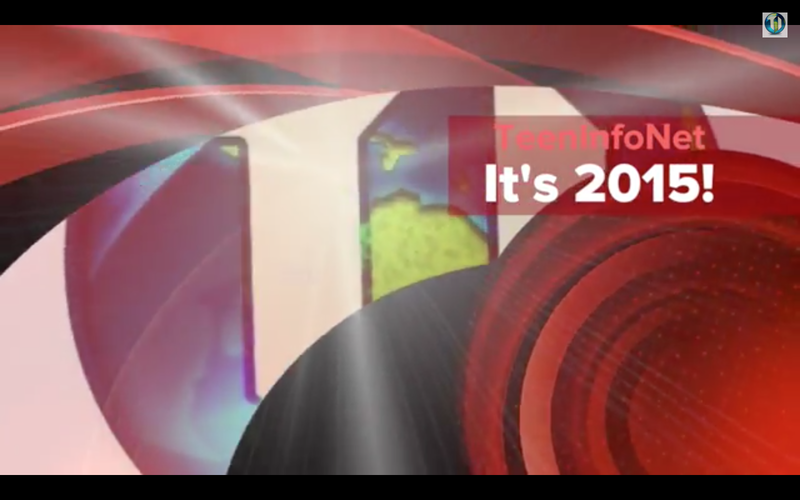 – Watch Here! 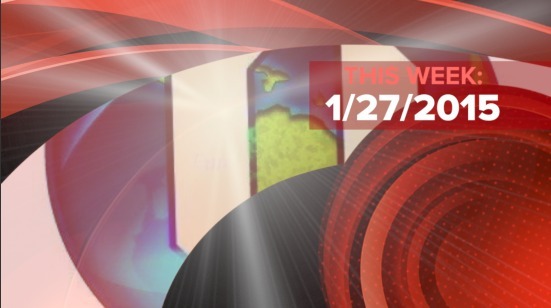 Love is in the air as Valentine’s Day is just two days away. In celebration of Valentine’s Day, Demi Lovato decided to share a new promotional video for her beauty line, Devonne by Demi, featuring her boyfriend Wilmer Valderrama. In the video, Demi shows us how to #DevonneYourMan by using Wilmer as a model for the 3 piece essentials kit of Demi’s beauty line. Be sure to check out the hilarious video for yourself by watching it in the video below and let us know what you think by commenting! Check Out Demi Lovato’s Selfie With Her Bright Red Lipstick! Demi Lovato is all about new looks and chic styles, so it’s no shock to us that she shared the snap above to show off her fierce personality! 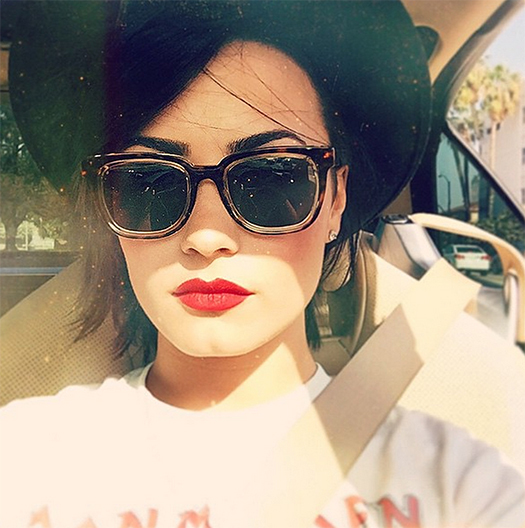 Demi sports bright red lips in the pic paired with dark glasses and a hat. What a look! Let us know what you think of Demi’s selfie! 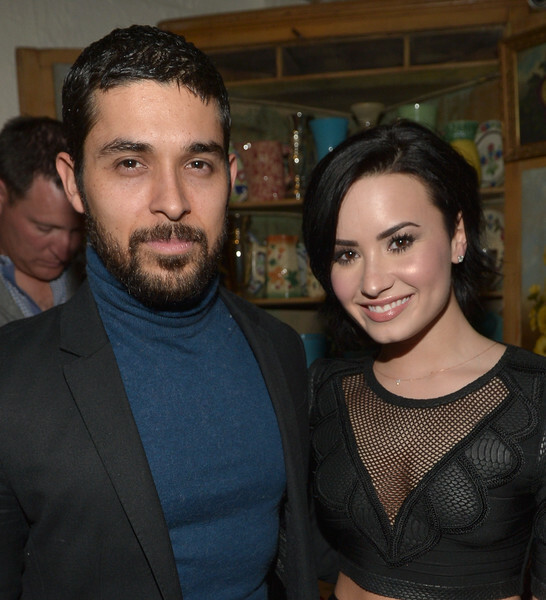 Demi Lovato Celebrates Boyfriend Wilmer Valderrama’s 35th Birthday! 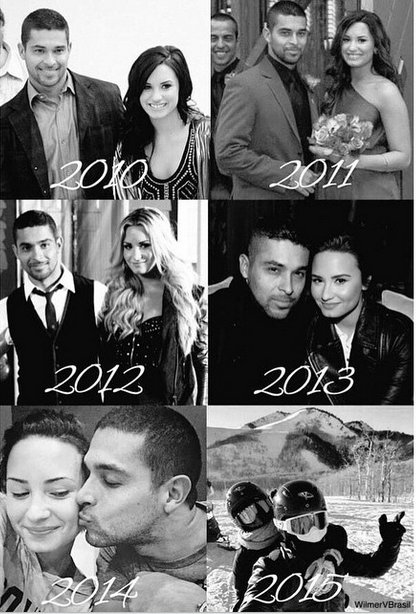 We sure hope Demi had a wonderful celebration with Wilmer! 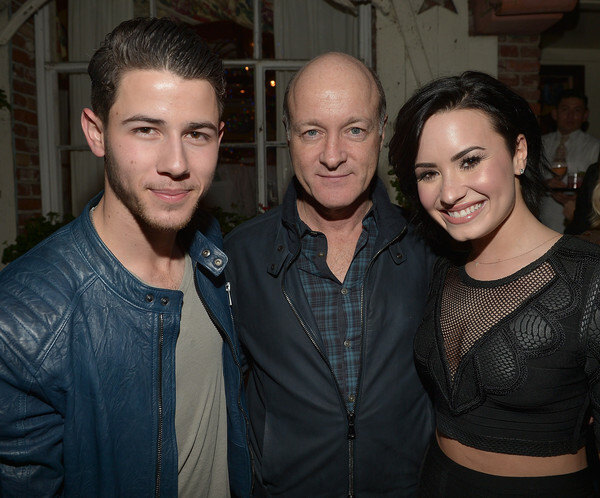 Demi Lovato Joins Mental Health America At Annual Clifford W. Beers Award Dinner! Demi Lovato is not only known for creating music and having an amazing voice but she is also known for her courage and bravery in standing up for mental illness and raising awareness. 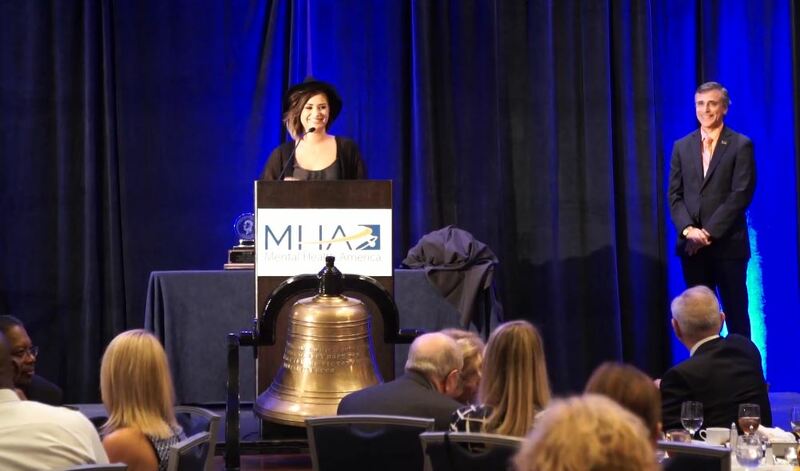 Recently, Demi joined Mental Health America (MHA) at the Annual Clifford W. Beers Award Dinner to communicate the importance of people telling their personal story and coming together as a unified voice for mental health in America. Be sure to check out Demi talking about mental health by watching the video below from the dinner she attended. Help Demi Lovato And Take Her #WearHope Challenge With ‘We365’! Hope is defined as a feeling of expectation for something to happen. Sometimes we hope to get a car or better grades. Perhaps even hoping for that one job you want. Hope is a word that has become a big part of Demi Lovato‘s campaigning these days. Currently, Demi’s using the help of We365, a large community of people who want to help different causes by using inspiring challenges, to help raise awareness and money for mental health. Teaming with Regular Hero, also an organization that helps become “the voice” for different causes, Demi brings you the Hope Dealer Collection! Are you ready to become a Hope Dealer with Demi? 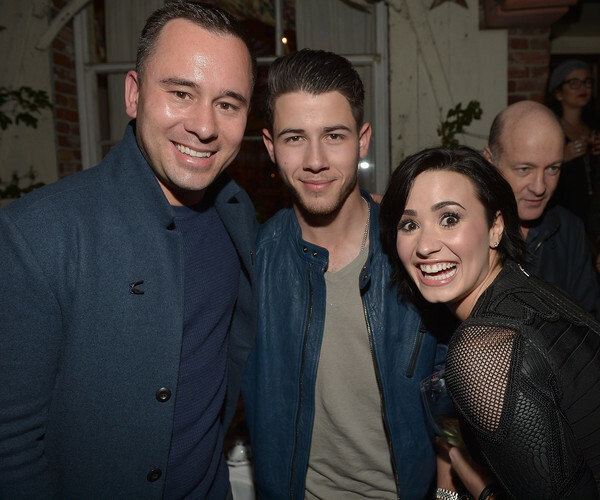 PHOTOS: Demi Lovato Celebrates Nick Jonas’ Song “Jealous” Being #1 At Top 40 Radio Hit! Demi Lovato celebrated with her best friend Nick Jonas since his latest hit single “Jealous” reached #1 at Top 40 Radio Hit. Demi celebrated the accomplishment with her boyfriend Wilmer Valderrama at The Ivy on Tuesday night (January 20) in Los Angeles, California. 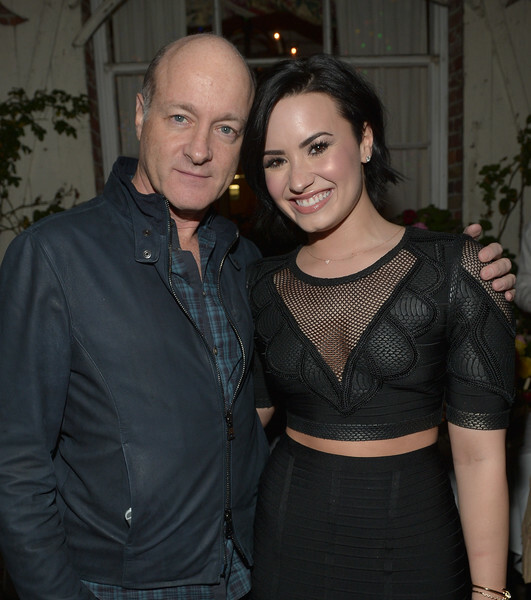 Be sure to check out more pics of Demi from the celebration in the gallery below!